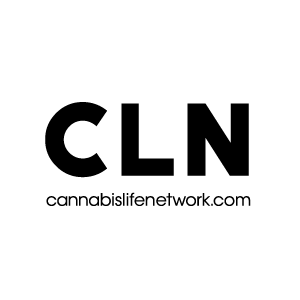 Join Craig Ex, as he hosts and MC’s the Cannabis Life Conference from Vancouver, on Cannabis Life Network Live. From cannabis and sexuality, to applications in cancer treatment, pets, exercise, and everything in between – all this and more will be discussed this Friday-Saturday, July 7-8, at the Cannabis Life Conference Vancouver. The conference will take place at the Westin Bayshore and gather vendors, industry experts, doctors, activists and consumers for an informative journey exploring the opportunities cannabis holds as an alternative medicine. Each morning will kick-off with a coffee reception with the conference speakers, providing an exclusive opportunity for attendees to network and form industry connections. “Hundreds of our attendees are showing up with little to no experience with Cannabis, but lots of curiosity. We offer a broad overview of the medicinal applications and policy reform, while challenging cultural stigma. Whether you are a long time consumer, or completely new, the Cannabis Life Conference is a great place to get informed, connected and entertained.” – Jay Martin, President, Cannabis Life Conference. Speakers include retired medical doctor & author Charles Whitfield, Canada’s most prominent cannabis activist Jodie Emery, CEO and lead consultant for CannaKids Tracy Ryan, author and politician Dana Larsen, and many more! View the full speaker details here. Event sponsors include The Georgia Straight, Cannabis Growers of Canada, Jade Maple, Daily Hive & Weedmaps. Visit CannabisLifeConference.com to register in advance for $15 before Friday, or pay $20 at the door. Catch the Toronto High-lights here.